KSolve delivers high quality, highly scalable, distributed, concurrent mobile and web applications. Our deep knowledge of business and technical know-how, helps us in developing innovative and robust solutions for current generation of complex enterprise applications. With KSolve mobile educational apps, learn various subjects anywhere on your mobile device or tablet. Once the KSolve mobile apps are installed, you do not need internet access. These apps have interactive video lessons, flash cards and tests. 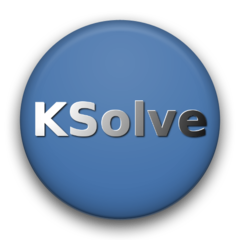 KSolve mobile apps are available on Apple, Android(Google Play, Amazon and Nook) market places.